GUILDFORD, England--(BUSINESS WIRE)--Criterion Games, a studio of Electronic Arts Inc. (NASDAQ: EA) today announced Burnout™ Paradise Remastered will become available March 16th, 2018 on the PlayStation® 4 computer entertainment system and Xbox One, the all-in-one games and entertainment system from Microsoft, inviting players to wreak havoc and unleash automotive anarchy once more. Players will be transported back into the world of Paradise City to tear it up in the ultimate driving playground, from hectic downtown avenues to the wild mountain roads. Pull off high-octane stunts and create insane car destruction in one of the greatest arcade-driving games ever created. 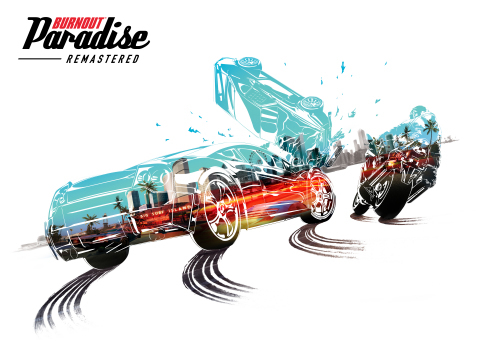 For more information about Burnout Paradise Remastered, please visit www.ea.com/games/burnout/burnout-paradise-remastered. **Conditions, limitations, and exclusions apply. See ea.com/eaaccess/terms and ea.com/eaaccess for details. Burnout, Origin, EA SPORTS, Battlefield, The Sims, Need for Speed, Dragon Age, and Plants vs. Zombies are trademarks of Electronic Arts Inc. John Madden, NFL and FIFA are the property of their respective owners and used with permission. PlayStation is a registered trademark of Sony Interactive Entertainment, Inc.